Now that I am back, I want to share some of my latest photos with any who may have missed them. 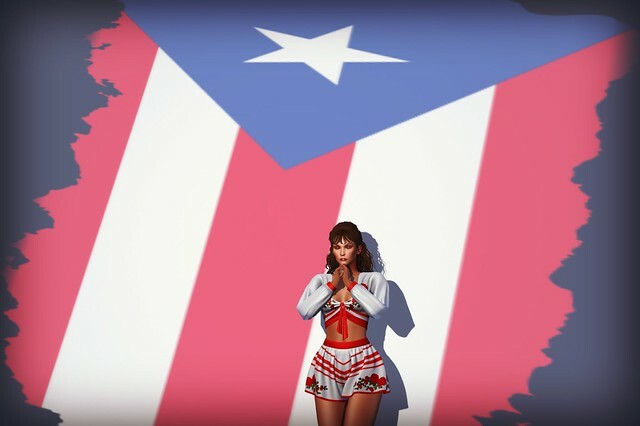 A post I did for Puerto Rico using the song created by Lin Manuel Miranda to raise funds for the island. I am also wearing DUE hair in the above photo, another new favorite of mine. I suppose that is enough back posting for now. Time to focus on the future!